The segwit2x mailing list, two weeks before a $40B economy is expected to migrate over to their new HF code. 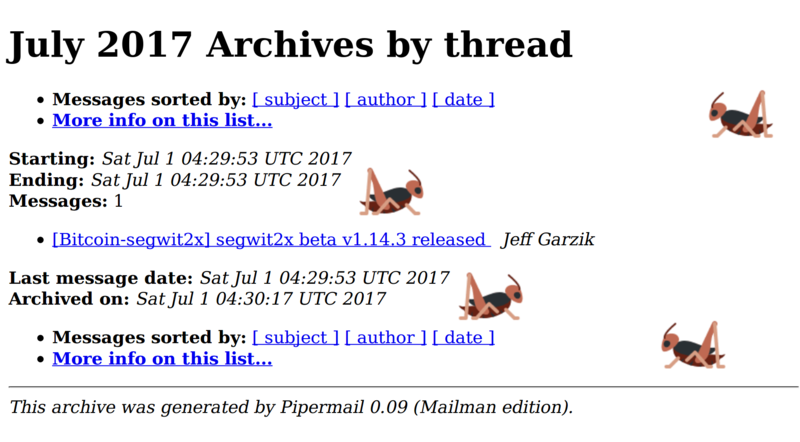 Not a single reply to the beta announcement by Garzik. Where are decisions really made?